Would you believe me if I told you that you can have a home security camera that is priced at only $19.99 per camera AND there are no monthly subscription or cloud storage fees required? Yes, I’m serious. Let’s check out WyzeCam. 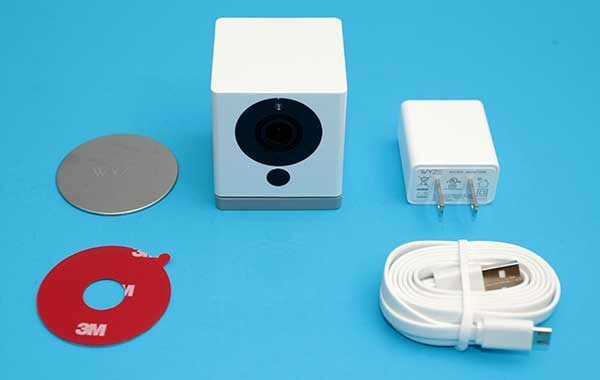 WyzeCam is a small 1080p home security camera that’s crazy inexpensive but still has all the features of the big guys like Nest and even some features they don’t have, all for only $20 per camera. 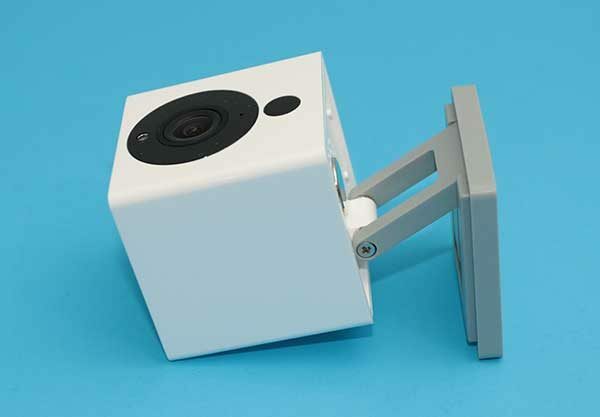 The WyzeCam is a small 2-inch white plastic cube with a grey base and a camera lens and IR sensor on the front. On the back of the camera is a speaker, a Type A USB connector, and a micro USB connector. In a standard setup, you would connect the included micro USB cable into the micro USB port on the camera and then connect the other end into the included AC adapter. The Type A USB connector allows you to daisy chain the cameras so that they can share one power connection. To do this, you would connect one WyzeCam the standard way and then connect the included USB cable with a 2nd WyzeCam into the back of the first WyzeCam. 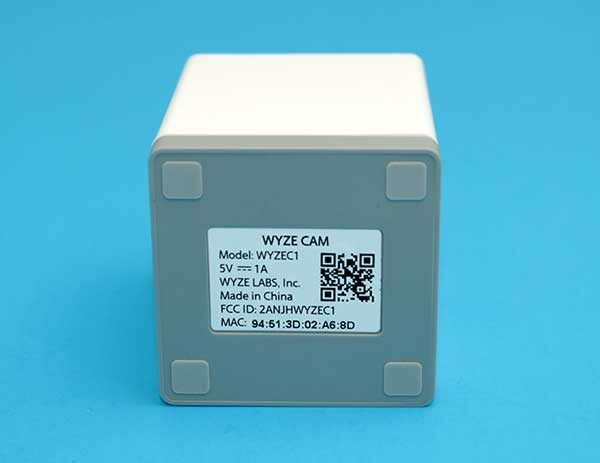 The base of the WyzeCam has a QR code that is used during setup. The base unfolds so that you can customize the viewing angle of the camera. The base of the WyzeCam is magnetic, so you can attach the camera to any steel surface or you can use the included disk to mount the WyzeCam on a wall. When you unfold the base, it also reveals the micro SD card slot that you’ll use if you want the camera to capture video 24/7. Note that you have to supply your own micro SD card. There’s also a button on the bottom of the camera that is used during the setup procedure. 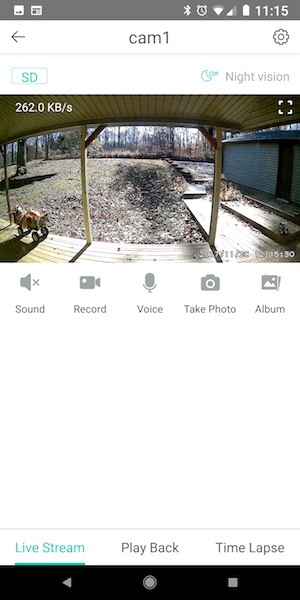 The Wyze camera is one of the easiest security cameras that I’ve ever installed. All you do is install the mobile app, add a camera, power up the camera, and follow the screen and voice prompts. I had the first camera up and running within 2 minutes which I think is a record. Adding additional cameras is just as easy. 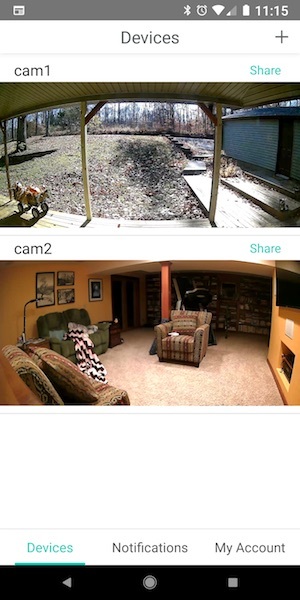 The WyzeCam app is similar to most other security camera apps. It gives you the ability to see a live view of the camera and customize settings. The WyzeCam can notify you via your phone when it detects motion, sound, and even a smoke or carbon monoxide alarm in your home. 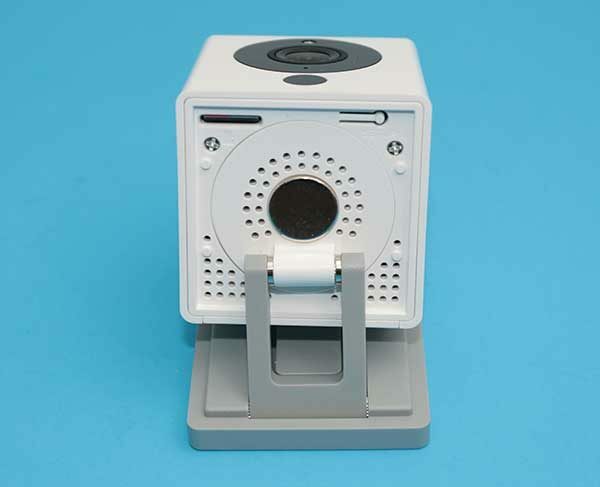 This camera can also record motion detection clips locally on a micro SD card (not included), or you can set it to continuously record to the card. 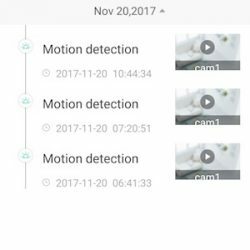 When motion is detected, the camera will save a short clip to the cloud which you can view through the app from anywhere in the world. These clips are saved for 14 days on the WzyCam servers and you’re not charged anything for that service. The camera’s image quality is very good, as is the viewing angle. You can record action manually or snap an image by clicking the onscreen buttons in the live view window. You can also listen in on what is happening and have a two-way conversation using the built-in microphone and speaker. However, night vision is a little fuzzy compared to other security cameras that I’ve tested. but it’s not bad enough to be a deal breaker. 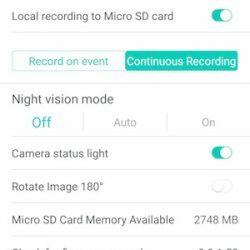 In addition to watching a live stream from the cameras from a remote location, you can also watch past events if you insert a micro SD card into the camera. The WyzeCam even has a time-lapse feature that you can use to condense an entire day down to a few minutes. This is a feature that you have to schedule and you can only view the time lapse when you’re on the same network as the camera. There’s not much that I don’t like about this camera. It’s small, the price is affordable for anyone, it has good image quality, alerts you when it detects motion, sound, smoke alarms, CO alarms, provides two-way conversation feature, and is simple to set up. There are only two main things that stand out for me that Wyze needs to improve. One is that the application is a little flakey. When I launch the app, 7 times out of 10, it will freeze or not connect to the camera until I kill the app and restart it. 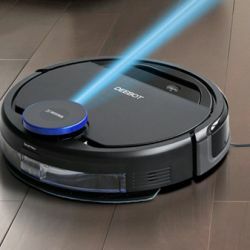 The other improvement that I’d like to see is with motion detection. Sensitivity even when set to the lowest setting is pretty high resulting in motion alerts for things like tree limbs moving or shadows from the sun. I would also like to see a motion trigger zone feature. And one more thing that really isn’t an improvement as much as it’s a wish… It would be great if they come out with a water and weather-resistant camera for outdoor use. 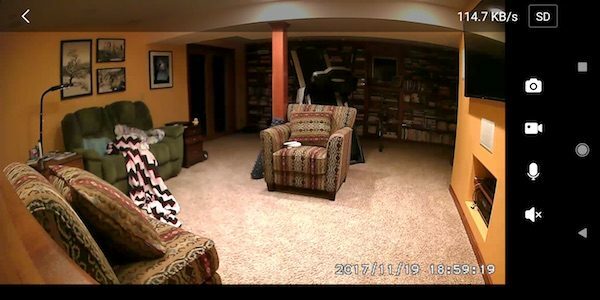 WyzeCam security cameras are an inexpensive way to outfit your home with live streaming cameras that will alert you to motion, sound, smoke, and CO alarms. 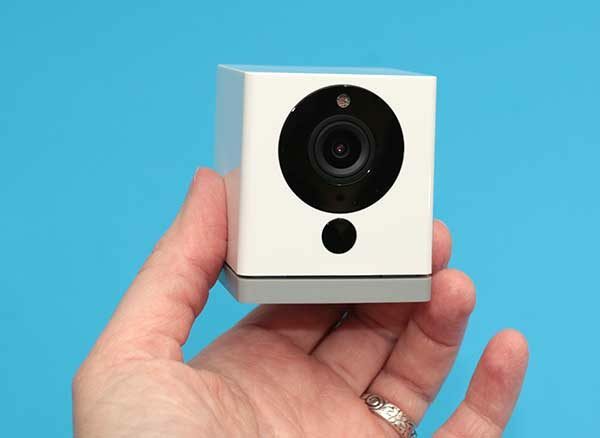 For only $20 a camera, it’s an obvious choice to go with WyzeCam over other security camera brands that cost 10x as much and lock you into a monthly fee to use their cloud services. I am still using 2 of these cameras in my house. I recently noticed that I was no longer receiving notifications for motion detection alerts and contacted their tech support. It took awhile to track down the problem, but it was finally narrowed down to a setting battery optimization issue in Android. If anyone else has this issue, I’ve pasted the solution below. I do still have regular issues with the app needing to be restarted, but I continue to deal with that because I really like the WyzeCams for their affordability, great image quality, and no monthly cloud storage fees. In Android Marshmallow(6.0) or higher, there is a feature called Doze Mode that prevents applications from running if your phone is idle for an extended period of time. This setting prevents the push notifications from appearing due to the phone closing the Wyze application’s process. I’m still very happy with my WyzeCams and have purchased 2 of the version 2.0 cameras and 2 of their latest pan and tilt cameras. I’ve even helped my neighbor setup several for his home and at an airport where he works. I like that the firmware for the cameras and app are frequently updated. The only thing that could make WyzeCam even better would be for them to create an outdoor version. 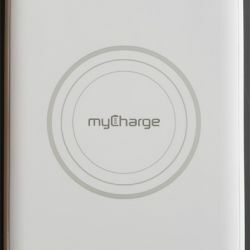 Source: The sample for this review was provided by Wyze. Please visit their site for more info. Amazon also sells them, but for some reason, they are more expensive than buying them right through Wyze. 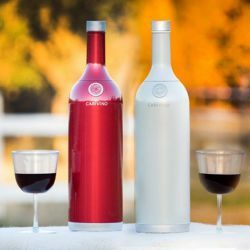 Sold out on Wyze site. Lists for $29.99 on Amazon. Hmmm, even at $29.99 the cameras are a steal. They are now showing in stock on the Wyze site (but may take 1-2 additional days)…. shipping is an additional $5.99 SO, Amazon’s price (Prime exclusive) isn’t bad when you take into account the 2-day shipping. 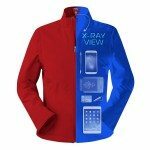 I purchased 2 from Wyze just now and shipping was $9.98 for both. Total was $49.96. Two purchased from Amazon is $49.98 with 2 day Prime shipping. Rather give the extra $$s to the company for providing such a reasonably priced product for the features. I’m sure they take a % hit selling through Amazon. I agree in supporting the company but, if it’s out of stock (which it apparently was earlier today), paying the premium to Amazon (and getting it faster) isn’t too bad. I picked up 2 of these Wyze cameras (direct from the company). They were delivered quickly. 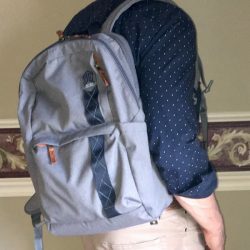 Here’s a bit of another review. I was not going into these prepared to be impressed. After all how good could a $25 security camera be? Well it can be really good. The packaging was top notch – everything had a place and it was very secure. 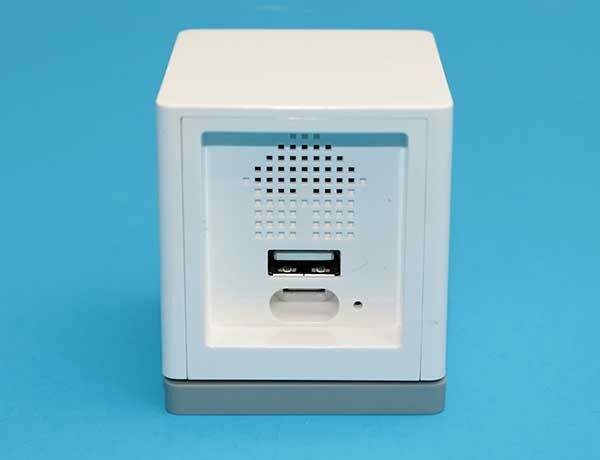 Included in the small cubey box is the camera, metal mount plate, USB adapter, flat and long micro USB cable and quick guide. You need to download and install an app to set up the Wyze cameras – both iOS and Android flavors are available. The app is very well written and shows a lot of professional development effort. The camera only connects to 2.4ghz wireless networks so if you have a dual 5/2.4ghz WiFi network (who doesn’t these days) you may run into a little trouble. I suggest that unless you have a high end wireless router that can manage the networks you configure your wireless network into separate 2.4 and 5ghz networks. My network was already set up that way so my Wyze connected without trouble. I did have to switch my iPhone to the 2.4ghz network before the app would communicate with the Wyze and set up the configuration however once that was done I switched back to the 5ghz network and the application continued to work fine. The camera is 1080p fixed focus (with digital zoom – who cares) and sits on an nice base which telescopes and swivels so you can position the camera. 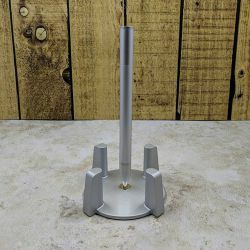 The base has a strong magnet so the camera will stick to any metal surface or you can use the included metal disc to create a mounting position. Once it’s set up you can control everything through the app. 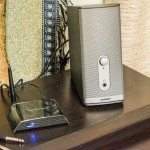 Nicely Wyze includes 2 weeks of free cloud recording so that you can play back recordings from anywhere (not just in your home network). 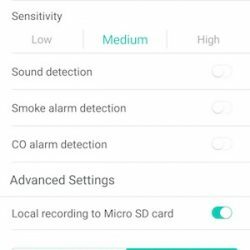 The app also has settings for frame rate as well as a number conditions which will trigger recordings (like motion, sound, smoke or CO2 detectors) and which will push alerts to your smartphone. The alerts are linked to a short video clip so you can see why the alert was issued. In my tests these all worked pretty well. The motion detection is basic (sensitivity is the only parameter you can change) but it works and the clip records about 10 seconds before and after the alert. 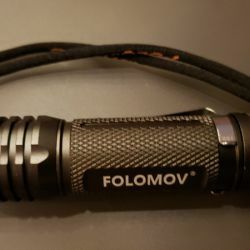 The camera also has IR illuminators which you can turn off – otherwise they go on automatically in dark conditions (with the requisite LOUD relay click). IR illumination is about 10-30 feet and the quality of night recordings is good. Also included is 2 way audio communications – it’s pretty low volume but you can understand what people are saying and they can hear you as well. Nicely the camera has a microSD card slot and so you can record directly to the card. Like a dash cam you can specify the length of recording clips (30 minutes is the default) and you can select the option to overwrite older clips. Using this option you can store a couple days of 1080p 15fps video on the maximum supported 32gb microSD capacity. However you can lock clips or if when detection events happen those clips are stored separately and are locked as well. You’d still get them on your cloud storage however. I was impressed by the quality of the recording and the quality of the device. 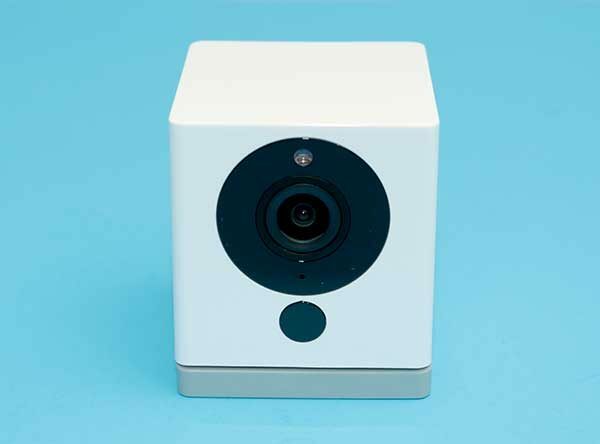 If you’re trying to decide to install security cameras in your house (sorry the device is an indoor device only and can’t really see out of the windows especially in the dark) the Wyze camera is a nice device to try out the viability of the idea. At $25 it’s a great value and you might find that you don’t need to replace them with expensive cameras after all. However it’s certainly nice to have a little, easily hidden camera to deploy if an occasion arises in the home which needs some monitoring – perhaps the mother-in-law is stealing silverware? Although the camera does include a 5v USB power adapter you could power it using a high capacity USB battery pack for portable purposes. I think Wyze should be applauded for producing a camera with features above the very reasonable price they’re offering. Nice review Alan! Thanks for sharing your thoughts. I still have my 2 WYZE cameras setup and they are still working fine. The app is a little flakey though and you’ll probably notice (unless it’s just the Android app with this problem…) that you’ll have to restart the app pretty regularly because it will freeze. You’re welcome. The iOS app is very stable (for a couple of weeks) although I’m only monitoring 1 camera right now. I haven’t had to restart it even once. And I switched phones right in the middle from iPhone 7 Plus to iPhone X and it didn’t miss a beat. Is it possible to not upload any video to the cloud and just save clips to an SD card? I would like to be able to maintain what little privacy I have left! Maybe I’m just dreaming about having any privacy left…. Yes, it is possible to get around uploading video to the cloud BUT the workaround means you won’t be able to access the livestream or recieve motion alerts on your phone. However, if you have a microSD card in the camera, it will continue to record video even when it isn’t connected to your wifi network. Thanks, Julie, very helpful. I’ll try the SD card. I really enjoy The Gadgeteer! GREAT deal ! I cancelled my Nest Camera cloud subscription for $150/year plus selling my two used Nestcams on eBay for $90 each… generating $330. I’ve bought four (4) of these plus four 32GB cards on Amazon for $146. Net Savings of $184 plus I’ve got 2 more cams ! 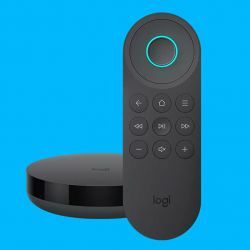 For basic security these are great… not quite as good as the Nest cloud solution but unless you’ve got a situation where you regularly need to review historical footage remotely to watch your kids or elderly parents, these are the inexpensive monitors to use. I’m still using my two cameras but am getting ready to go back to Blinkcams to see which one I like better. It supports up to 32GB microSD card which will store approximately 2 days of HD video or 7-8 days of SD video. I am using a 64GB card on mine, formatted in exFAT. Is there a way to delete multiple notifications at one time, instead of having to individually delete each one ? Yes, on the notification screen click the pencil in the upper right corner. Then you can select multiple alerts or use the select all option at the bottom. can you also access it thru other apps by using an ip address and port? You mean like Tinycam? I haven’t tried it but today and will report back. Tinycam finds the cameras but isn’t able to display the live view. I’ll have to keep trying to find the right settings or will email the people at WYZE to see if it’s possible. read somewhere that this is called rtsp access and that it is not possible. I have my fingers crossed for those features! Did you try lowering the sensitivity? Personal Security issues See Reddit: why are your cameras sending data to non AWS servers? I consistently see UDP traffic (port 10001) heading to Japan, Germany, China + other locations. That same link has a reply from them saying that version 1.2 of their software supposedly fixed the issues. Are you saying that this isn’t true? It isn’t true according to WyzeCam, they are in “beta” and only with internal cameras. The cameras currently installed, and used across the US are still sending the user information, camera records, addresses, etc overseas, and not AWS. This has beeen ongoing problem with US customers for over 3 months with WyzeCam, personally the camera owners should have been made aware immediately when the breach had taken place, instead WyzeCam to this date, has not corrected the situation. 45.76.82.115 is owned by Vultr Holdings, LLC VHL-89 Address: Hanauer Landstrasse 302 City: Frankfurt am Main. Seems to be the owner of Choopa. 106.15.0.207 is owned by ALISOFT, Aliyun Computing Co., LTD, 5F, Builing D, the West Lake International Plaza of S&T, No.391 Wen’er Road, Hangzhou, Zhejiang, China, 310099. Aliyun Computing Co., Ltd. designs and develops operating systems for mobiles and tablets. The company is based in Hangzhou, China. Aliyun Computing Co., Ltd. operates as a subsidiary of Alibaba Group Holding Ltd.
192.240.110.98 is owned by https://www.fdcservers.net/) cited from below link. GitHub is trying to get to the bottom of this from what I understand (wyzehack). However many people are not as tech Savy as those on GitHub. Many customers are being exposed through the use of these cameras. 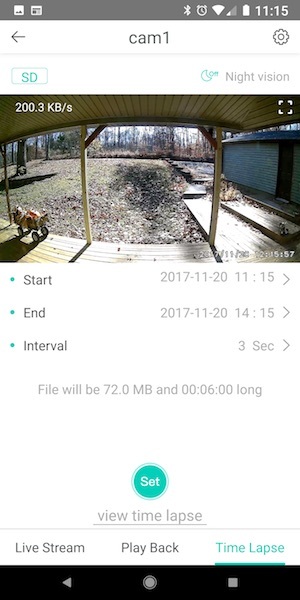 I got an email from Wyze today announcing their new and improved version – Wyze Cam 2. -Motion Tagging technology detects and highlights motion in both live stream and replay modes. -Even better image quality. The powerful new CMOS sensor provides clearer images for both day and night vision. -Higher sound quality made possible with a Class-K audio power amplifier and a new audio chip that significantly reduces TDD interference and EMI. 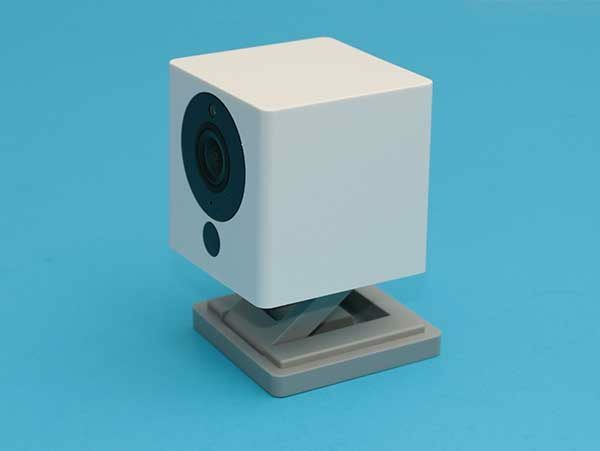 -A matte finish replaces the glossy finish on the original Wyze Cam to reduce reflection. The email said the invitation to purchase these was for me only so I’m not going to link to it but they’re indicating availability for the public in a week (the pre-order was limited to folks on their mailing list). Delivery is scheduled for end of February. 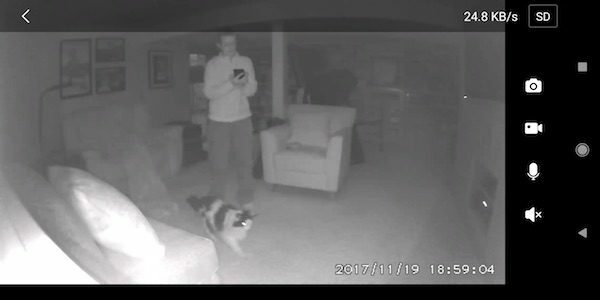 HOWEVER, if you happened to go to https://www.wyzecam.com/product/wyze-cam-v2/ don’t tell them it was me. 😎 The preorder is only $19.99 per camera. If this is at least as good as their original version it will be the deal of the century for home security cameras. I’ve been very pleased with my original Wyze Cam operation. I love my Wyzecams BUT I’ve been having problems for quite awhile now with the app having to be restarted multiple times per day so that notifications work. It worked great back when I reviewed it, but hasn’t been acting right for weeks/months now. I have a ticket in with WyzeCam support and they suggested that I uninstall/reinstall the app which I’ve done, but notifications are still not working which is disappointing. Julie, I hope you review their new WyzeCam v2 as soon as it’s available! I’d love your opinion on how the two compare. How do I get longer clips than 15 seconds. I have a sd card and can do the live stream but can I have a longer clip when I get a notification of motion. As far as I can tell, there’s not currently a way to customize the notification clip length. How do I record on the sd card so I can save it? Can I call you for help? Susan, we don’t sell or support the WyzeCam cameras. You should contact them directly. You insert the card and then go to the settings for the camera by clicking the gear icon in the top right corner of the live view window. Then choose Advanced Settings and you can choose to only record events or continuous footage. I now have 3 of the V2 Wyzecams; one inside shooting out through the window, one outside hanging under my mailbox, and one in my car as a cheap dashcam. As an ersatz dashcam it’s surprisingly good. It also has no trouble connecting to my wifi network from the driveway. Once I wire it with key-off power to I’ll get additional view of the driveway when my car is home. In that way it’s better than the previous dashcams I’ve used. The one in the front window is good during the daytime but it suffers very badly at night. There is very little light outdoors, far less than the camera needs to produce a usable picture. In night mode the camera is much more sensitive but the 4 IR illuminators reflect back from the window, washing out the view completely. Unfortunately, there’s no way to enable the more sensitive night mode without the illuminators. The one hanging under the mailbox is the newest. Since it’s completely outside the night vision works very well. The illuminators work well enough that anyone within about 15 feet would be identifiable. Since that is more than the distance at which the dull, red glow of the IR illuminators is noticeable I think it’s stealthy enough. My only concern is how it’ll hold up to the weather. It’s fairly sheltered by the mailbox which is, in turn, sheltered by an awning. But, even if it manages to not get directly hit by rain it’ll be subject to dew and temperature swings outside of spec. At this price though, I can afford to experiment. I purchased 2 V2 Wyzecams too. I’ve only set up one of them so far. I have a V1 pointing out my front window. A V2 on the first level inside the house pointing inside and another V1 in our basement pointing inside. I really want to set up a V2 outside under our front porch but there’s no power out there… I wonder if there would be a way to rig a solar panel to power it. Given the power requirements I’ve seen people report you’d need about a 10 watt solar panel and decent sized battery pack to power the camera at night. Also, it rained last night night and the location I’d picked wasn’t adequately sheltered from the rain. I brought it in before it got more than a few drops on it so the camera is fine; I just need to find a new place for it outside. 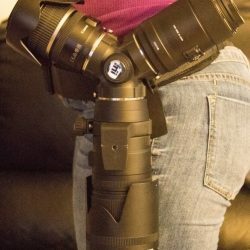 Are there security issues regarding these little cameras? The price is great, but I’m kind of nervous about that. Bought 4. One failed in less than a week. That’s a 25% failure rate. 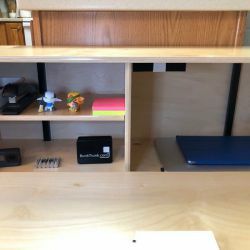 You’ll need a smartphone or tablet with an internet connection to do the initial set up. I’ve not tested the cameras to see if they continue to record to the SD card if internet goes down. I’ll try to test that tonight and let you know. I can confirm that Wyzecams will continue to record footage to the micro SD card when there is no internet connection. Hi Julie. This is just what the doctor ordered. Thank you for helping out a technologically challenged old guy. I bought a couple of WyzeCam Pan cameras not long ago. They’re great! I’m still loving mine. I actually bought 2 of the new pan and tilt cams but haven’t set them up yet. I replaced our “reuse the old phone” setup with them. The quality is much higher than it was with the PresenceApp and iPhone 4S and 5S as the cameras. The tilt-pan feature is especially good and the price is right! I put one camera under the mailbox on my porch right after the last post and it’s been under there happily ever since. We’ll see if the cold is a problem this winter but the rain certainly hasn’t been. Good to know! I don’t have a good way to power something outside unless it can use a solar panel like the Reolink Go camera I’m currently testing. 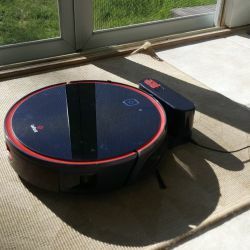 Can this be used as a pet monitor? I would like to have it looking at my dog while I am gone, remote turn on to see what she is doing, then turn it off. Yes, you could use the camera to do that. The app will let you turn the camera on and off whenever you like. Thank you. My Pet Cube that I have been using broke and was looking for an alternative. Supposed to get mu Wyse tomorrow, Monday. Let us know how you like it. I really like my Wyzecams. Received the Wyze, set it up, and am using it. Took a while to set it up but that was because I didn’t read the instructions thoroughly. The instructions are small but contain a lot of information. The monitoring works great. I find the ON and OFF clumsy. I have to try them several times before they work so generally just keep it ON all the time. Great picture. Well worth the cost. Glad it’s working for you so far. 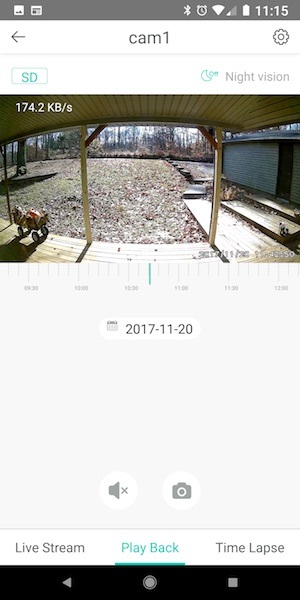 Another nice thing about Wyze is that they are constantly improving the camera’s firmware and the app. I bought one of these on Amazon. Downloaded app on to moto g5 phone. No where to set up account only sign in with e mail and password. If you don’t have an account you can’t sign in. I went to their web site created an account, but still can’t sign in on my phone. It says good for and 5 right on the box, but I can’t get it to work at all. Sending it back for refund. Maybe somebody else can use it. Also no way to use it with a computer, even with different apps. Good camera with I phone I guess? Good luck with this..
Tom, not sure why you didn’t see the create a new account option when you installed the app. I recently helped a neighbor set up several cameras and remember having to do that step. You can call their support line at 1-844-999-3226. 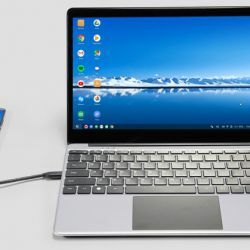 As for using WyzeCams with a computer, there are some apps that they will work with, but that’s not supported by them as far as I know.